With over 4 million people working in New Jersey today, businesses are competing to provide the best amenities for their employees. In order to stay competitive, office buildings need to offer the most modern amenities in order to attract clients. These top ten trending amenities will ensure that your building attracts forward-thinking tenants. While New Jersey is known for being a commute-by-car state, approximately 20% of New Jerseyans take either a carpool or public transit to work. Office buildings that are located near New Jersey Transit train stations can attract employees who live further away. Providing a shuttle bus that takes clients to and from the local station can be a great amenity as well. Not all office buildings are close to a New Jersey Transit station, however. For those buildings, offering alternative bus or carpool amenities – such as special parking bonuses – will attract potential tenants. New Jersey businesses value proximity to transit opportunities. Office buildings that maintain lush properties will demonstrate curb appeal. Good landscaping involves caring for trees, shrubs, and seasonal flowers. If major landscaping efforts are not in your budget, be sure to prioritize planting and caring for a number of trees. On a property, trees offer a variety of benefits. Tree shade can cool down a property, which is very useful in urban settings. Concrete and asphalt absorb heat and release it slowly throughout the day. Therefore, providing plenty of shade near sidewalks and parking lots can help a property maintain a healthy temperature. Additionally, trees can boost the wellness of anyone who visits your office building. Trees filter out air pollutants, which can improve air quality by up to 4.5% in some areas. Walking in a forested area can also decrease negative brain activity associated with depression. Maintaining a clean landscape will not only make your building look more welcoming, but also it will have many benefits for tenants and clients who visit the property. Providing efficient, safe, and streamlined security in an office building will attract clients and tenants alike. New Jersey is a state that is always on the move. Visitors who are slowed down at safety checks will not have a good first impression of your building. Buildings that install turnstiles and pedestrian entrance control devices (PECs) can streamline pedestrian traffic. Turnstiles can digitally track when building tenants and clients come and go, reducing the need for multiple security professionals on site. Security cameras are an oft-forgotten piece of security equipment as well. They can be used to deter potential crime or confrontation. Visitors will feel more secure knowing that a building has multiple safety measures in place. Efficient and proficient safety measures in a building are a very important amenity for potential tenants. More office buildings are being designed with universal access in mind. Approximately 22% of Americans have a disability. While all office buildings must follow guidelines established by the Americans with Disabilities Act (ADA), universal design is a philosophy that encourages office designs to make an entire building accessible to anyone, regardless of ability. For example, rather than installing a ramp to the side of a front door, a universally designed building will create a ground-level entryway that is accessible by all visitors. Other design changes in universal access include wider doorways, wider desks with room for large chairs to fit under them, and lower cabinets and drawers – it is recommended that cabinets are placed between 24 and 48 inches off the ground. These are only a handful of universally accessible office designs. Universal design in a New Jersey office building makes the building friendlier to all employees and clients. Vertical gardens and green walls are interior design aesthetics that introduce more greenery into an office building. A vertical garden is a wall that holds vegetation such as vegetables, ferns, or flowers. They are often automated to water themselves throughout the day. Vertical gardens filter out air pollutants indoors. Additionally, the shade that they provide contributes to room temperature management. Read our article on Trending Green Building Concepts [insert the article here, upon publication] for further information regarding the benefits of vertical gardens and green walls. In 2018, 95% of Americans own a cellphone, with 77% of those cellphone users owning smartphones. Many New Jerseyans conduct business on their cellphones and smartphones. By building a strong Wi-Fi network within an office building, potential tenants will be able to effortlessly connect their smartphone to the internet at any time. Additionally, providing a free Wi-Fi network for guests will welcome new and returning clients. In a modern work environment, Wi-Fi is necessary not only for smartphone users, but also for anyone who works on tablets or laptops. Wi-Fi is a necessary and valued amenity in modern office buildings. Food halls are a new trend in 2018. Malls and ground floors of commercial spaces are installing cafeteria-style food stalls, offering healthy grab-and-go options as well as made-to-order meals. Vendors in food halls are typically artisan or farm-to-table restaurants. They are fast and convenient, and they often do not require your tenants to travel far for a meal. Bell Works, formerly the Bell Labs complex, is a retail and office hybrid space located in Holmdel, New Jersey. Bell Works has been in the news due to its recently installed food hall: the 8,000-square-foot food hall offers five unique restaurants that cater to both employees and neighboring businesses. The food hall also sponsors special events, such as a Farmer’s Market that will be running every week from May through September of this year. Food halls are an important trend because they save employees time while ensuring that they have access to quality food. A fitness and wellness area is a highly valued amenity among modern New Jersey workers. With Americans having a more sedentary lifestyle, many Americans are trying to build exercise into their day-to-day life. A fitness area should be built to include efficient ventilation, safe workout equipment, a separate room for mindfulness and yoga exercises, and a private area for showering. While it may seem expensive to maintain a small gym in an office, companies that offer fitness programs save an average of $3.27 for every dollar spent on the program. This is because an employee’s healthcare costs are reduced after engaging in consistent exercise. Another study found that employees who participated in a weight control program saw a 0.15 body mass index (BMI) reduction within one year. Employees who participate in on-site wellness programs eat healthier, walk more, and feel more motivated at work. It is vital that an office building offers ample parking solutions. Over 70% of New Jerseyans drive alone when commuting to work. Ideally, an office building should have its own parking structure: either a parking garage or a large lot will suffice. However, smaller buildings can coordinate with local parking garages in order to obtain parking deals for employees. Additionally, parking should be easy to find and easy to access. Providing parking passes or parking benefits will be a major incentive that can attract clients and tenants alike. Bringing pets to work is becoming an in-demand amenity in many New Jersey offices. Not only do employees enjoy spending time with their pets, but also it is proven to reduce levels of stress. One study found that employees who work with dogs at their office reported feeling far less stressed than employees who work without dogs at their office. Rather than make an entire building pet-friendly, however, many offices establish pet-friendly zones, be it specific rooms or an entire floor of a building. These zones are pet-proofed and they are designed with dogs in mind. These rooms often have HEPA filters installed, which eliminate most allergen traces. While the pet-friendly zones may not have employees who have allergies, it is important to keep the space as healthy and clean as possible. Keeping sections of an office dog-free is important for employees who do not wish to work with them. Approximately 30% of Americans are allergic to cats or dogs, according to the Asthma and Allergy Foundation of America. Accommodating all employee’s needs and desires is a delicate balance with pet-friendly amenities. Pet-friendly offices can boost morale and reduce employee stress, so they are viewed as a highly attractive benefit for potential tenants. All of these amenities can be easily implemented in an office building, so long as a property owner takes the time and due diligence to install the features. While some of these amenities may seem to be expensive to implement, many of them will save money over time. Investing in a building’s amenities will demonstrate your eagerness to provide a quality experience to your tenants. 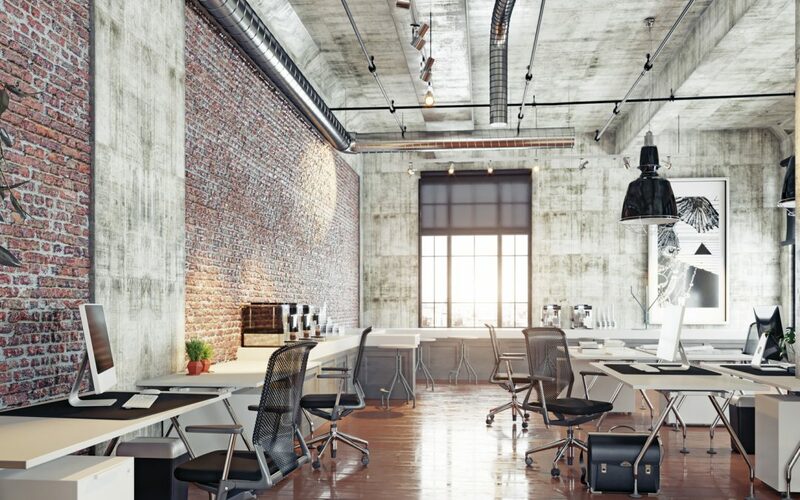 If your office building does not yet have some of these amenities, consider converting parts of the building to install them, which in turn will boost interest in your commercial space.